Delivery companies everywhere, from the roundabouts of London to the palm-lined streets of Los Angeles, are all suffering from the same thing. A parasite is attacking their profits, making it so that every day they make less money than they could’ve made. The parasite we’re talking about here is the traffic jam that sets your driver back an hour. It’s the road closure that forces your driver to improvise and figure out another way to get to the customer. It’s the new driver that gets lost fairly frequently as they learn on the job. 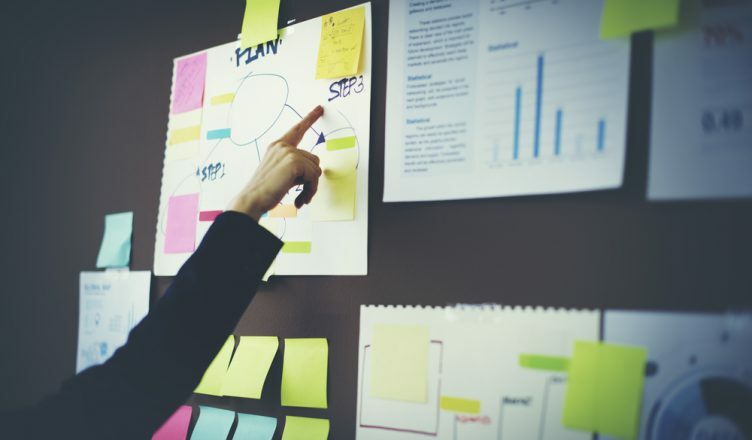 These unplanned delays are common in the delivery industry, and they can make it difficult for your business to succeed. If you don’t do anything about these delays, you’re going to lose a lot of money. It’s easy to tell you that delays are costing you money, but it’s hard to get across what we really mean unless we show you the problem in a more concrete way, using real dollars. So, let’s say a company employs 50 drivers at $35 per hour. Just how much money are unplanned delays costing this company? A British study conducted by researchers from Plymouth University, Cardiff University, Hariot-Watt University, and the Sainsbury’s supermarket chain found that 2.62% of total delivery time is taken up by delays such as road restrictions and traffic congestion. That 2.62% figure means that about one hour out of every 40-hour work week is wasted due to unplanned delays. Back to the example: If your driver makes $35 an hour, unplanned delays are costing you $1,820 annually ($35 per hour x one hour per week x 52 weeks per year = $1,820). And that’s just for one driver. Unplanned delays don’t just cost you money from wasted hours – they hit you with wasted distance as well. Covering more ground than you planned for means you have to pay for more gas than you planned for, too. The study found that 7.82% of driving distance is unplanned. 3.05% of that is caused by extra trips (like delivery reattempts), and the other 4.77% is caused by unexpected diversions like weather issues). Again, let’s use a real-world example to illustrate how big a bite the unexpected can take out of your profits. The average FedEx driver travels 170 miles a day. So, going by that 7.82% figure, 13.29 of those 170 miles were essentially extra, driven to compensate for the unexpected. 50 UPS drivers? That’s 664.5 extra miles a day. Gas averages $2.36 a gallon in the US right now, and UPS’s new hybrid trucks get 13.1 miles to the gallon, so those 664.5 extra miles cost UPS $119.72 per day and $43,698 per year. Most delivery operations don’t have state-of-the-art hybrid trucks at their disposal, so extra distance is going to cost you even more than it does UPS. You already know that something dramatic like a one of your delivery vehicles breaking down or getting into an accident would slow your operation down, but that’s not the only kind of delay that can affect your profit margin. Indeed, keep an eye out for the subtle delays, those little things that don’t seem like much but add up over time. For example, an Intermec study found that it takes about a minute to complete a packing slip by hand. A minute’s nothing, right? Well, it is and it isn’t. If your drivers only had to fill out one slip a day, then sure, they’d be fine. But that’s not how it is- each of your drivers may make over a hundred stops every day, and in that case just filling out slips can take up to 2 hours for each driver every single day. You also have to take into account that your drivers aren’t robots (not yet, at least), so they’re not going to be 100% productive every minute they’re on the clock. Sometimes they’re going to take a longer meal or bathroom break than necessary – especially since drivers, unlike most workers, are completely unsupervised through most of their working day. Also, your drivers might have a habit of taking slightly longer scenic routes over uglier but more efficient highways. Even if taking the scenic routes only takes one minute longer total than taking the highways, that one extra minute per route will cost you 10 grand by the end of the year ($35 per 60 minutes = 58 cents per minute x 50 drivers = $29.167 per day x 365 days = $10,645.83 per year). As you can see, from traffic congestion to weather issues to bathroom breaks, there are all kinds of unplanned delays that have an impact on your profit margin. If you’re not careful, these delays can absolutely cripple your company. There’s an easy way to significantly reduce such delays, though. Routing optimization software allows you plan the most efficient route possible for every driver in your fleet. No matter how many stops you may have, route mapping software can quickly take all that information and give you routes that take less time to complete while avoiding serious time-wasters. 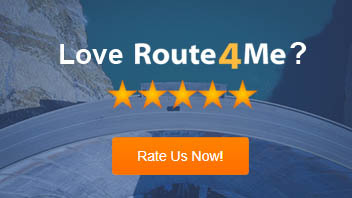 This software reduces idle time by improving your routes. Also, unnecessary turns and frequently congested areas can be removed from routes, getting the driver to their destination safely and quickly. As mentioned above, filling out packing slips eats up a lot of time. With the right route optimization software, you can complete these forms electronically rather than doing them by hand, which will save your business an enormous amount of money. In addition to helping you avoid unplanned delays, route optimization software also reduces the time it takes to complete a planned route. In other words, it doesn’t just reduce your expenses – it actually allows you to make more money, too. Certain route optimization programs also have a feature that lets you track your drivers in real-time. So if a driver ever deviates from a route or starts taking longer breaks than they should be taking, you’ll know about it (and be able to do something about it) immediately. There’s just doesn’t make any sense to plan routes manually anymore. With route optimization software, you can both trim your expenses and make more money. It’s a win-win. How do you manage unplanned delays? Let us know in the comments section below.